The gaming industry in Poland has seen an astronomical amount of growth over the last few years. In 2014, the Polish gaming industry was worth an estimated $279.6 million. When reviewed a year later, that number had almost doubled to a whopping $400 million. Today, estimates show a total of $567 million and growing, with Poland consistently ranking 23 out of 100 or higher on the global revenue charts. It’s not just game developers boosting the Polish economy, as Poland also boasts an extremely large consumer population of gamers and gaming enthusiasts. 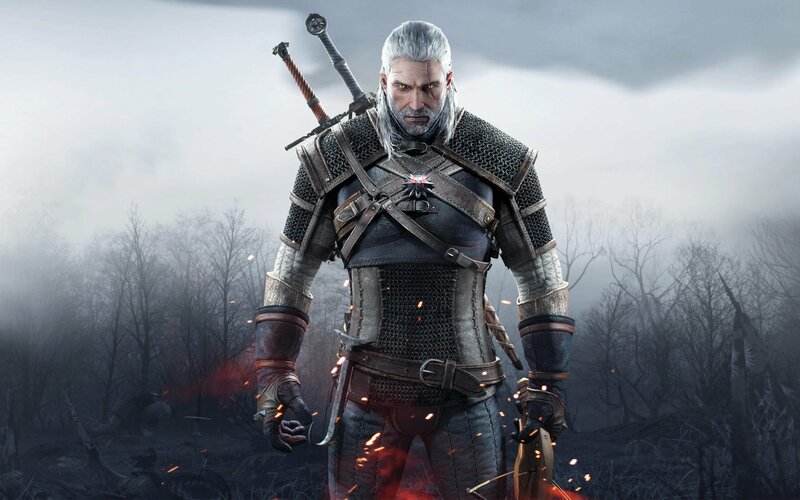 Outside of Poland, many gamers have reported playing at least one title from a Polish company, with CD Projekt Red being one of the most easily recognizable thanks to the popularity of The Witcher series and level of interest circling their upcoming project, Cyberpunk 2077. CD Projekt Red aside, there are 400+ gaming studios in Poland that employ over 6,000 talented game developers working in both the AAA and indie sectors, and it's these studios that we wanted to take a closer look at during our time at PAX East 2019. Poland consistently ranks 23 out of 100 or higher on the global revenue charts for game development. 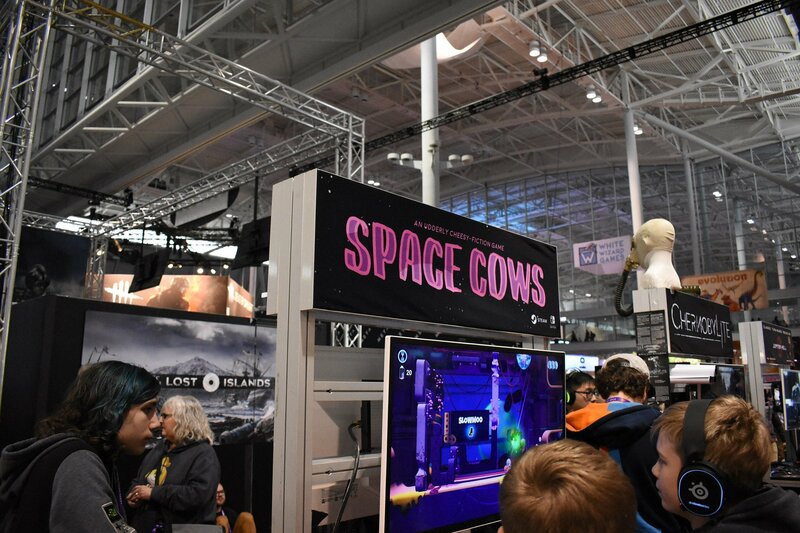 At PAX East 2019, we were able to speak with several of these Polish companies, all of whom were proudly represented on the show floor. Not only did Poland have its own section this year, other Polish games like Layers of Fear 2, The Riftbreaker, and Warsaw were present elsewhere in and around PAX East 2019. It felt as though, no matter where we looked, traces of Poland could be found. To learn more about Poland’s expanded presence at PAX East 2019 and beyond, we interviewed one of the main men in charge of the Polish game section, Maciej Miąsik. Maciej’s experience with Polish game development dates all the way back to the early 90s with a game called Electro Body. From there, Maciej worked on various projects before joining CD Projekt Red as head of the production department on The Witcher in 2005. After working on The Witcher, Maciej left CD Projekt in 2010 and went on to co-found indie studio Pixel Crow who released their first title, Beat Cop, in 2017. With so much experience in every facet of Poland’s gaming scene, we were eager to hear Maciej’s thoughts on how far Poland has come, and what people can expect from Poland in the future. Can you state some of what you do? My name is Maciej Miąsik, I understand this is difficult to pronounce. I am basically a game developer because I do a lot of stuff. I am a programmer, designer, sound designer, producer, and sometimes businessman. I am a kind of industry veteran, I was one of the so-called "founding fathers" of the industry in Poland. I released my first commercial PC game in Poland in 1992, it was called Electro Body. Since then, I did a lot of different games; a lot of adventures published by now-defunct [studio] Dreamcatcher. I was part of the production for The Witcher where I spent 5 years working on the game. I also released a game called Beat Cop. We had the opportunity to interview industry veteran, Maciej Miąsik, about the presence of so many Polish game developers at PAX East 2019. At PAX East 2019, we've seen a heavier focus on Polish developers. What goes into having so many Polish developers here at PAX? The United States market is one of the most important markets. We know that we have to be here, though it's quite costly to be here, [especially] for most of the indies. That's why the Indie Games Poland Foundation said, "Let's try to get some public funding and bring indies here." Of course, they still need to pay for the flight, for the accommodations, but the booths are free for them. Every year we try to be at PAX West, though this is the first time we are also at PAX East because we are looking to expand. We also try to be present all around the world; we are in Gamescom, at Tokyo Games Show, and a few other places as well. If there are indies willing to go there, we try to help them to be present. What does the game development scene look like from inside Poland? Poland has been active in the gaming industry since around 1990. Of course, it was [limited] to only a few bigger companies, but now we have so many indies we cannot count them. We as a foundation, we've tried to count them, but it's been impossible to find all of the small studios around Poland. We estimate we have around 400 studios in Poland. Most of them are very small, though. We have an event called Poznań Game Arena (PGA) and last year there were 120 games from indie developers in Poland, so there are a lot of games. We know that most of them won't succeed, that's the reality of being an indie game developer, but they will go elsewhere and do bigger things. This will have a big impact on the industry either way. We try to encourage people to do different games, but we try to warn them that this is a difficult job, and you have to be prepared for better or worse. We are also well-integrated as an industry. Basically, everyone knows each other now, even though we technically compete. The competition between the studios here is mostly for people. Anytime we go somewhere, we try to help each other, we try to share knowledge about the market, and this works pretty well. Where do you see the Polish gaming scene going in the future? I joke all the time that our goal should be to at least surpass Germany because they're our neighbor. This is difficult though because it's a much richer country and they have a head start. But I think, at least in terms of creativity and the kind of games we deliver, I think we are better than Germany. At least every couple of years we have a gritty, interesting title that resonates all around the world. In terms of recognition, our games seem to be more and more recognized. Beyond this, we would like to [continue to] expand. We would like to grow, we would like to bring foreign capital, and have foreign companies set up studios in Poland. We'll see, it's always difficult to predict the future. Games are a huge export in Poland according to Jakub Marszałkowski, Co-Founder and Board Member of the Indie Games Poland Foundation. We also reached out to Jakub Marszałkowski, Co-Founder and Board Member of the Indie Games Poland Foundation which aims to support the country’s indie developers at events including PAX East 2019. Speaking with Jakub, we were able to learn more about where this rise in Polish game development is headed in the future. Have you seen a rise in Polish game development? Do you have any theories as to why game development has grown so much in Poland? As of today, I would estimate we have more than 400 studios doing games in Poland. That is a lot and is still rising. These are of all sizes. On one side, there are companies several hundred people big. I believe we have at least seven that are 200+ in Poland now. And I am counting only developers, not services or outsourcing. On the other side, there are "one-man army" devs, some shipping games that sell hundreds of thousands of copies. To answer why is a rather lengthy discussion, as no single factor can be pointed. We are hard working, still thriving for global success, chasing the rich western countries. We have excellent programmers and good teaching of these, and decent English. Last but not least, nearly everyone is independent – for another year, big game corporations are for some reason scared to open a big studio in Poland. Can you also touch upon what this growth in game development means for Poland, and where you see Polish game development going in the future? I strongly promote the idea that this is the biggest export of our culture. 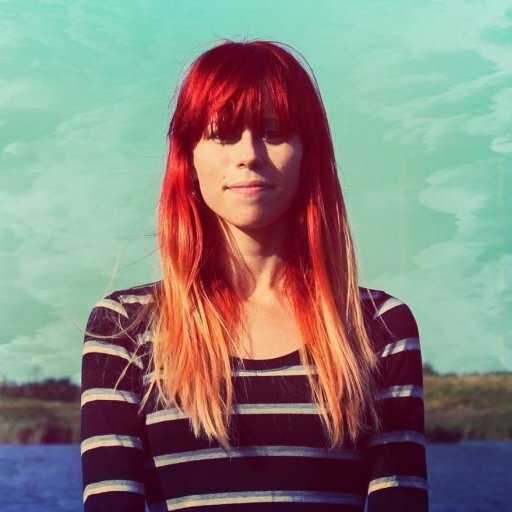 Do you know any Polish music? If you are a fan of metal or jazz maybe. But our games reach far. This means promotion for Poland. Game production builds a modern and innovative industry that exports, helping with balance of international payments. And so on. Why do you think Polish games like The Witcher, This War of Mine, and Superhot have become so popular with gamers all over the world? And Dying Light, and many more! Well, it seems these deliver good quality, but also some peculiar originality. Every one of these games has some unique ideas sewn in its fabric, and instead of just redoing anew what is typical for its genre, it is adding new concepts to it, pushing the boundaries. Are there any unique properties to Polish games that you've noticed in terms of storytelling and gameplay? We believe that the global Hollywood culture, that all of the games functioning on the worldwide market are using, in Polish games is filtered through our particular sensitivity. Some Slavic spirit. Finally, can you speak more on the Indie Games Poland Foundation and what it does to cultivate and support game development in Poland? We are a developer organization started as a grassroots process to help the devs. Initially, we wanted to help the small indies, but now we work in some ways with nearly every studio in the country. We work locally organizing, teaching, mentoring, acceleration, game jams, and other events, and sometimes even lobbying for right solutions. Recently, mediation was added to that list. My personal duties are mostly international, connection with other organizations, organizing Polish present at events including speakers, delegations, booths, and networking events. We are active from Seattle to Tokyo. 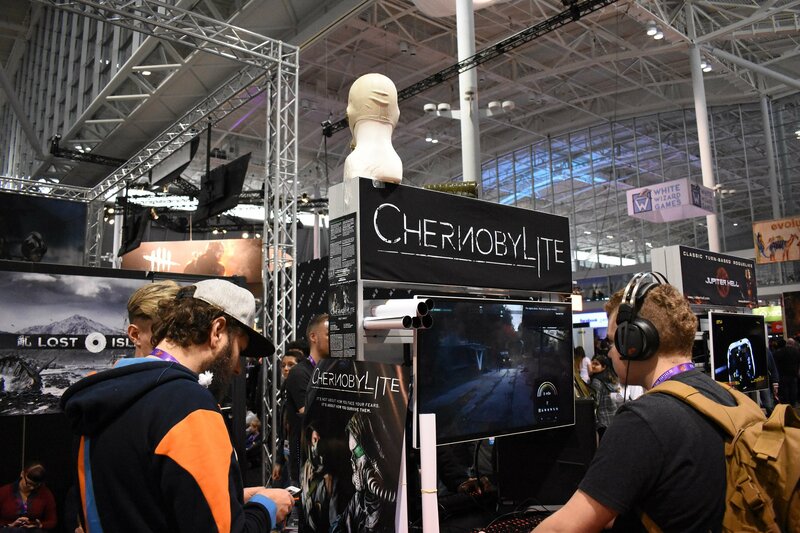 We were able to demo games created by Polish developers including Telefrag VR, Layers of Fear 2, Warsaw, and Chernobylite at PAX East 2019. 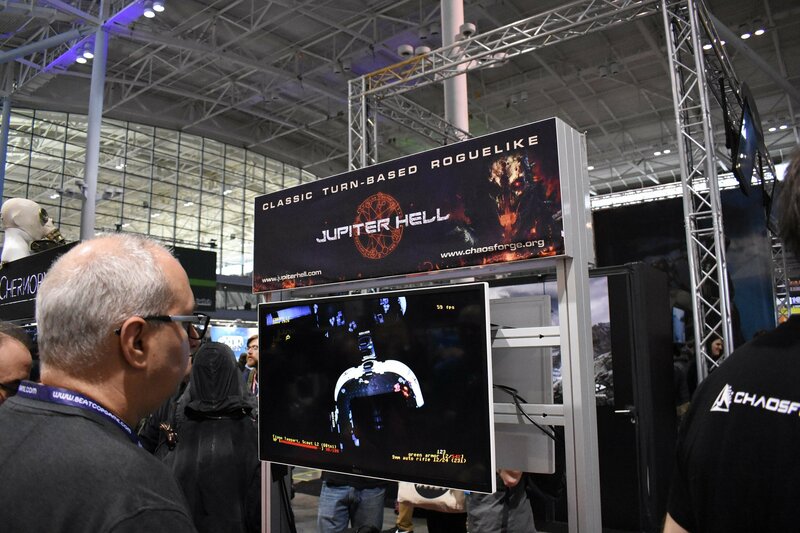 As we explored PAX East 2019, we were able to demo games created by a variety of different Polish developers. While all featured diverse styles of gameplay, they shared one important commonality in that they’re all part of Poland’s large, inescapable presence in the gaming sector. 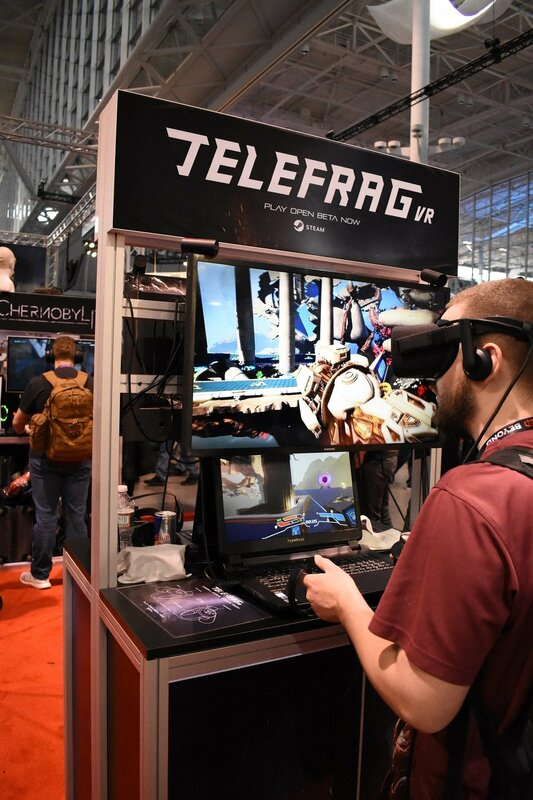 For example, we eagerly dug into games like Telefrag VR, a Quake-inspired shooter where you race through a map attempting to take out your opponents as quickly as possible. We also admired games like ChernobyLite for their gritty visuals and engaging gameplay, and we learned more about the Game Industry Conference in Poland which is being held from October 17 through October 20 this year in Poznań. Whether or not you have an interest in Polish games, GIC sounds like an incredible experience, and a great opportunity to uncover true gaming gems. One thing we’ve noticed is that games from Poland often have unique stories to tell, as is reflected in titles like This War of Mine from 11 bit studios and Warsaw from Pixelated Milk. These are games that tap into deep waters of emotion through thought-provoking storytelling and imagery. Even from the development side itself, there are some incredible stories to be found in Poland, with one example shown to us being We Are Alright. We Are Alright is a documentary that follows Bartak and Rafal in the creation of a game called Lichtspeer. It’s a touching and informational look at game development from the perspective of ambitious game developers, and we highly recommend checking it out if you have a few hours of free time. Even if you’d rather stick with the well-known giants, like CD Projekt Red (The Witcher, Cyberpunk 2077) and Techland (Dying Light, Dead Island), you’ll be able to experience a part of what makes Polish games so magical. Games created in Poland have a little something for everyone, including rich stories and engrossing gameplay. Another reason ties into Poland’s indomitable spirit. While Poland had a game development presence as far back as the late 80s and 90s, the level of growth skyrocketed after the release of The Witcher in 2007. At that time, Polish game developers were buoyed by the knowledge that a game franchise as successful as The Witcher was created in their very own backyard. When the world took note of CD Projekt Red, so too did aspiring Polish developers. Now, Poland is on a winning streak with no sign of slowing down. The future of the Polish gaming scene is incredibly bright, bringing with it the emergence of fresh talent in the indie sector, and high profitability in the AAA marketplace. It’s also never too late to support games from Poland. Looking for a few recommendations? We’ve listed some of our favorites down below!